Fumi is glad Akira is back in her life. Even in kindergarten, Akira knew how to stand up for herself, and she was always willing to stand up for Fumi too. But Fumi's first love recently got married, and Fumi is grappling with a broken heart and the fact that her sweetheart was another woman... Can Akira's open heart help dispel the gloom Fumi has been caught up in? 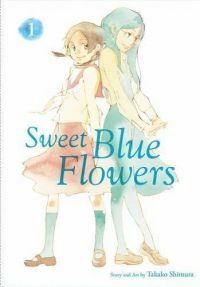 Other products for "Sweet Blue Flowers" in "Books"